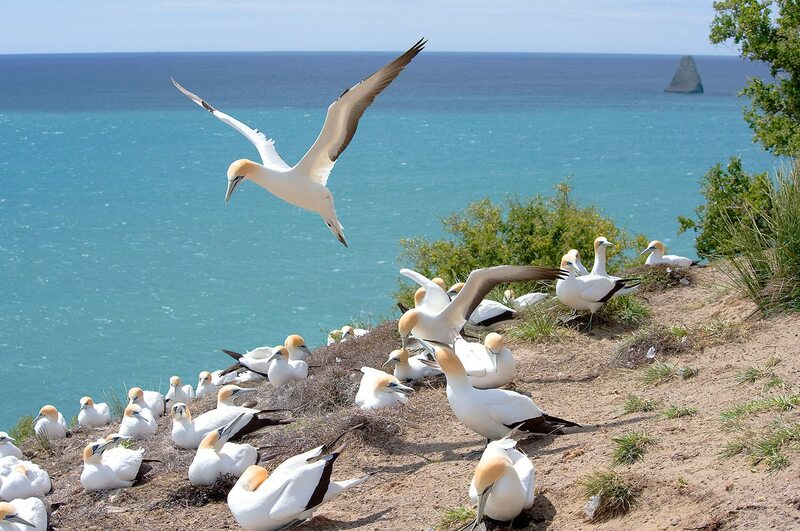 A half hour drive from Napier and Hastings out on a rocky peninsula, the Cape Kidnappers Gannet Colony is the largest, most accessible land based colony in the world, and home to over 20,000 gannets which are members of the Booby family with their distinctive black eyes and a pale gold crown. 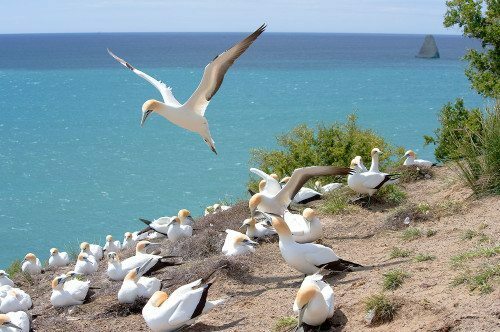 As well as the birds that inhabit the area, the coastline is real geological site of interest and a fascinating illustration of how the forces of nature have shaped the landscape with a history dating back 4.5 million years, visible in the impressive cliff faces and rock formations. Our favourite way to see the Colony is with Gannet Beach Adventures, aboard a trailer pulled by a lovely red vintage Minneapolis Moline tractor – don’t worry, the seats all have cushions! 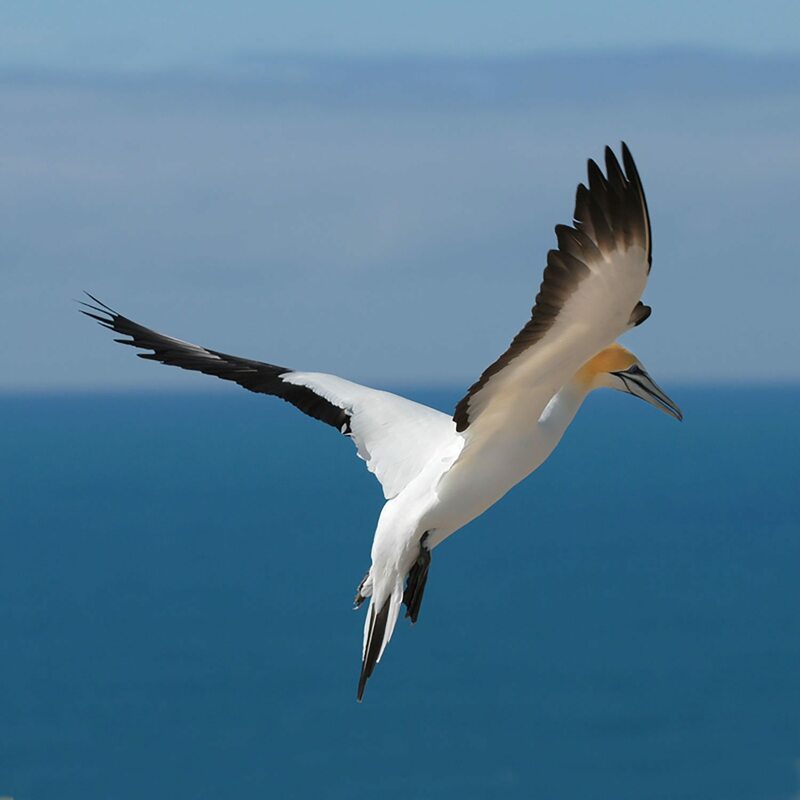 It can be a bit of a bumpy ride, but it’s worth it to have chance to get so up close and personal with the gannets in their natural habitat. 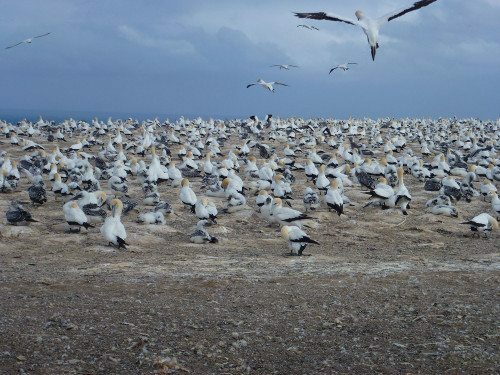 The 4 hour tour will take you first through the Black Reef Colony where you’ll be close enough to almost touch the gannets without even leaving the trailer and once you get to Cape Kidnappers, you’ll have an hour and a half to take photographs, stroll out to the Plateau colony and even have a swim if you fancy it. 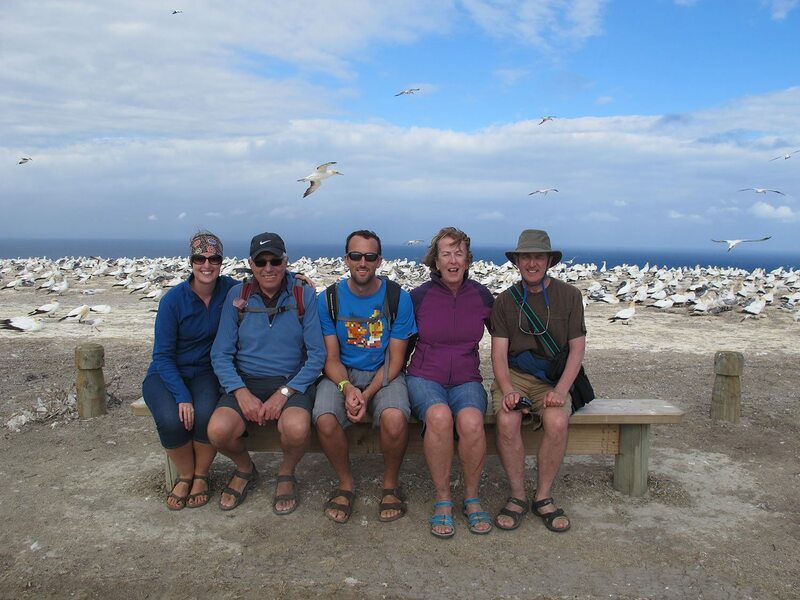 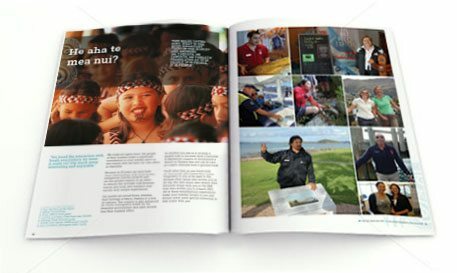 The guides are brilliant, and will tell you all about the fascinating geology of the Cape and how the cliffs of Cape Kidnappers have been formed over thousands of years. 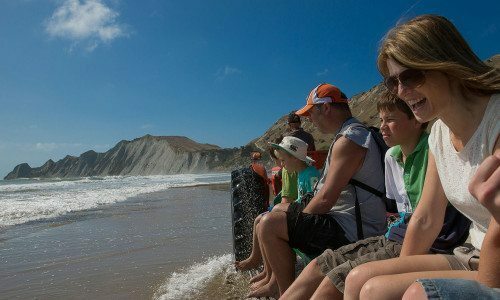 You’ll see ancient fault lines and fossils, and see gullies formed by wind and water, and they’ll let you in on the secret of how Cape Kidnappers got its name. 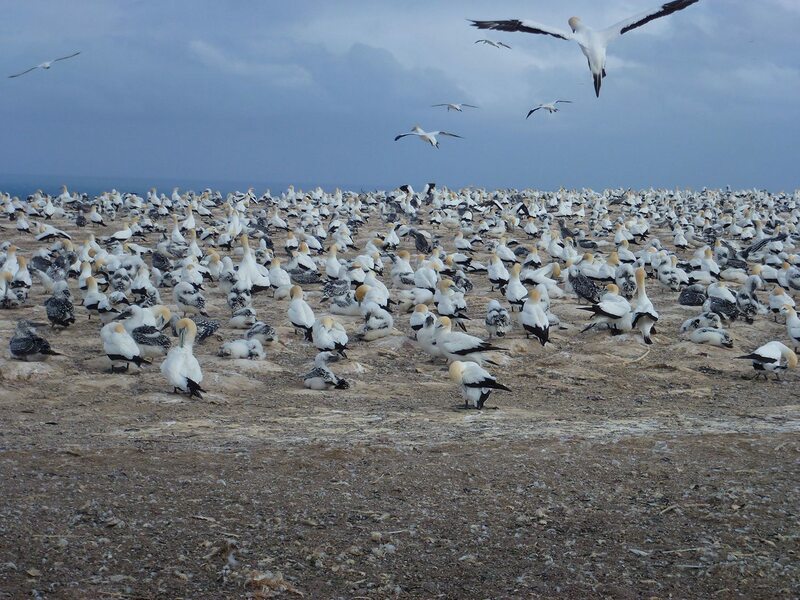 It’s a fun and informative day out and one that we’d really recommend! Its not your normal adventure day out – Fun and quirky, its something different!